Attendees will leave this webinar with a better understanding of how these changes may affect them and a forecast of what compliance enforcement efforts will look like in 2019. This webinar will air live on February 13, 2019, at 11:00 a.m. EST. To register click here. Spaces are limited! 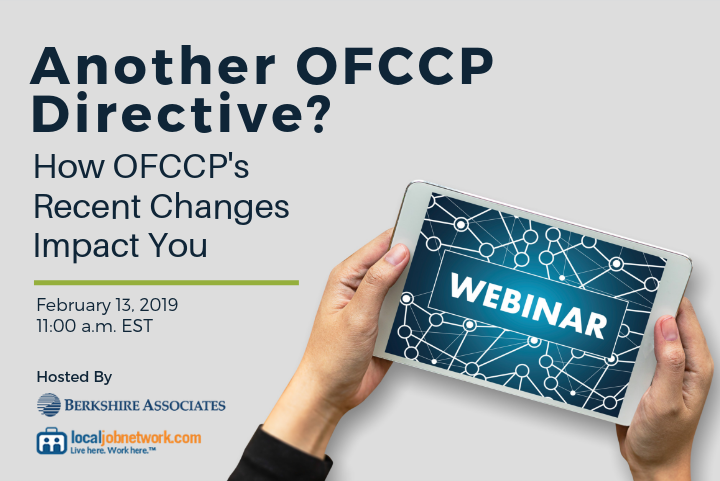 To learn more about this webinar, or if you need assistance with OFCCP compliance, contact us at 800.882.8904 or webinars@berkshireassociates.com.